New high-resolution aeromagnetic data from northern Finnmark provide confirmatory evidence for the existence of both metadolerite and unmetamorphosed dolerite dykes transecting the Caledonian nappes and subjacent (par)autochthonous lithostratigraphical successions from Magerøya in the west to Varanger Peninsula in the east. Three ages of mafic dykes are known from isotopic dating studies — Ediacaran, Late Devonian and Early Carboniferous – but actual dyke outcrop in the case of the two younger dyke sets is very limited. High-amplitude magnetic responses in two thrust sheets in northwestern Varanger Peninsula, north of the TKFZ and beneath the Tanahorn Nappe, are clearly shown to relate to swarms of Ediacaran metadolerite dykes. Individual dykes discontinuously exposed on the surface can be followed as linear positive magnetic anomalies over distances of 25 km inland. Their extent offshore is not discussed here because it is beyond our data coverage in this paper. In eastern Varanger Peninsula, 8–9 dolerite dykes of Late Devonian age occur in discontinuous or limited outcrop. The new aeromagnetic data show, however, that up to 20 such dykes can be identified in the subsurface in the region between Vardø and Syltefjorden based on their linear positive magnetic anomaly signatures. South of the TKFZ, two Late Devonian dolerite dykes, well known from small coastal outcrops, are clearly visible as linear positive magnetic anomalies both on land and offshore beneath the sea-floor of Varangerfjorden. The most spectacular manifestations of what we consider to represent blind dolerite dykes are seen in connection with linear positive magnetic anomalies relating to Early Carboniferous dolerite dykes exposed on Magerøya and western Digermul Peninsula. These prominent linear anomalies follow many of the mapped NW–SE- to WNW–ESE-trending faults that have disrupted the Caledonian nappes in this part of Finnmark, and some are continuous over distances of more than 100 km from Magerøya to western Varanger Peninsula. 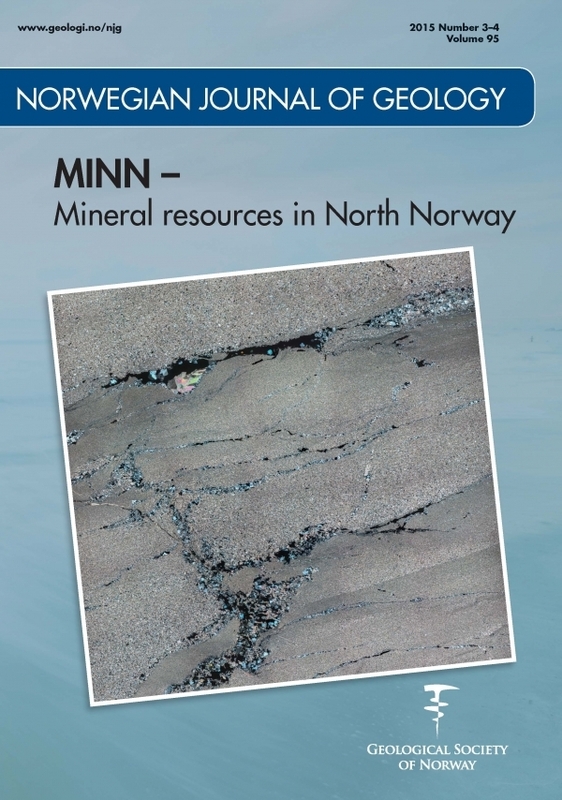 These particular dykes and faults have been interpreted as relating to a major period of extension and rifting that occurred in the SW Barents Sea and adjacent onshore areas of Norway in Carboniferous time.